Tonight I made a sweet & sour pork dish, of sorts. I baked pork chops on a cast iron griddle in the oven, while eggplant wedges cooked below. After cranking up the heat to 400, I sped up the process while cooking some white rice in the rice cooker. 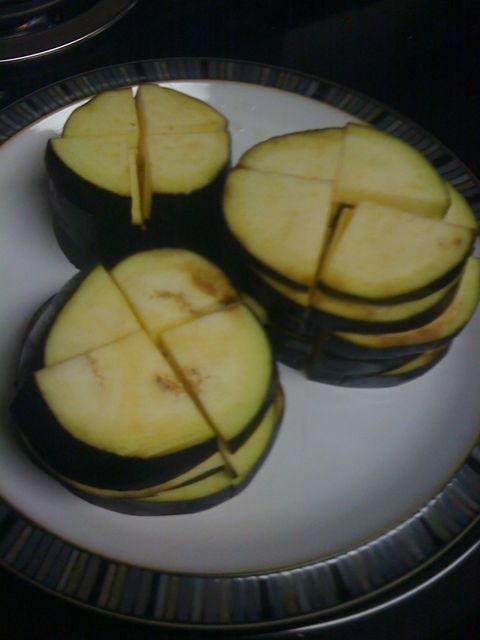 When the pork and eggplant were done, I sliced up the meat and blended it with the eggplant wedges – plus lots of honey mixed in. The resulting dish, served with rice, tasted somewhat like sweet & sour pork. And the eggplant wasn’t bad either. No cheese, you say? You won’t even realize it’s missing. With a limited supply of vegetables, I wasn’t quite sure what to put in tonight’s pasta. Starting with Hodgson Mill‘s flax seed fettuccini, I decide to experiment with a combination of canned tuna and white beans for a protein-packed “pesto” of sorts. While boiling the pasta, I cooked the tuna and beans (plus generous amount of olive oil) in a separate sauce pan over medium heat. I added fresh, chopped basil and mixed the “pesto” with the noodles, and then served each plate with fresh parmesan. Surprisingly, it turned out delicious – and was as filling as a heavy cream sauce without all the fat. I recommend trying it when your down to the most basic canned goods. Plus, your brain will appreciate the extra dose of Omega’s from the flax and tuna! I like to experiment in the kitchen and tonight’s dinner was case in point. It reminded me of Hamburger Helper, even though I’ve never technically had it before. I browned ground turkey in a large saucepan, and added onion soup mix plus water while it simmered to add some flavor. Meanwhile, I boiled pasta and added sliced banana squash to the meat mixture. I poured the pasta into the pan with the turkey and squash and mixed it all together. Voila! Nouveau Hamburger Helper (I think)! Easy soup from scratch – I boiled leftover (frozen) chicken broth from all those nights of boiling chicken. 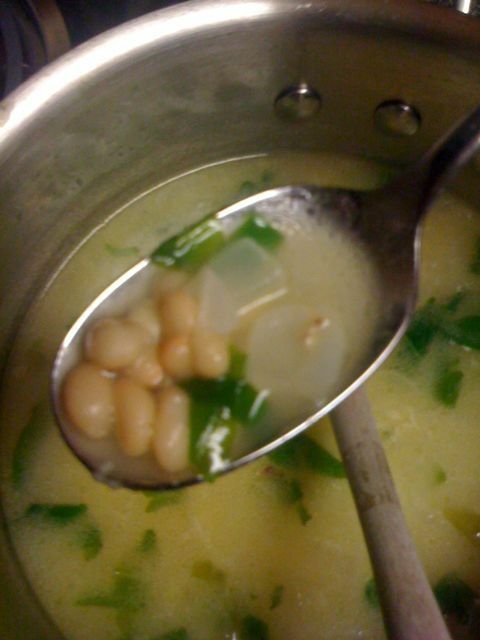 To the simmering broth I added white beans from the can, chopped onions, Parmesan, and fresh basil. 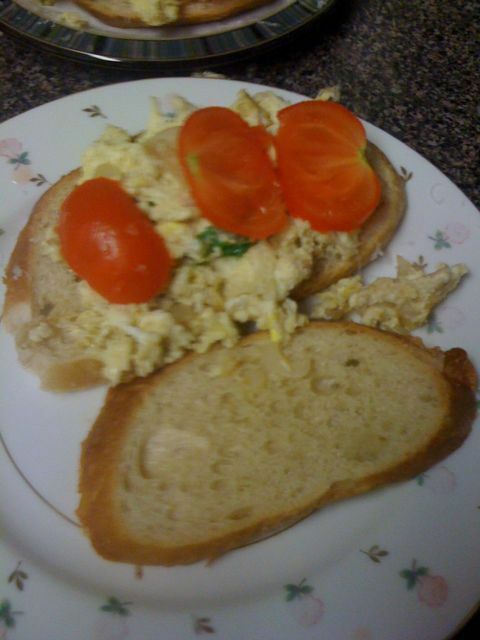 David suggested adding scrambled eggs and we poured the combo over white rice. 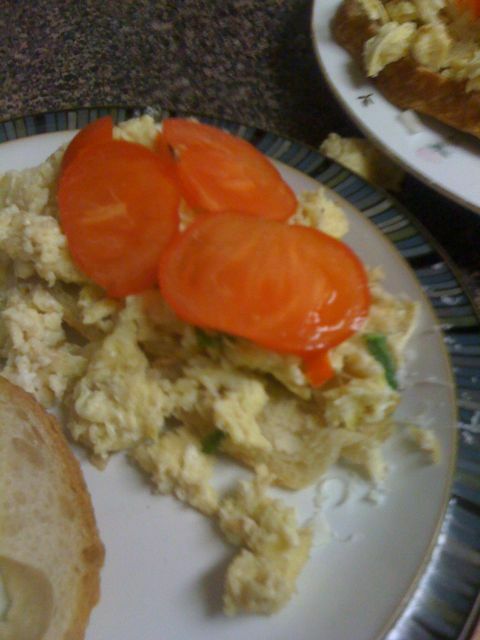 Call it recession recipe, or simply a lack of groceries, but it was healthy and hearty! Scottsdale, AZ produces some fine chefs from its Culinary Institue (like my sister), so it should come as no surprise that it houses some pretty great restaurants too. While in town last weekend, I thoroughly enjoyed our interactive dinner at “gastropub” Digestif. Part chef’s demonstration/neighborhood bistro, we watched all the action from the bar. Although the main dishes were excellent, the side dishes were the most fun. We had an amazing Mac & Cheese dish with an especially potent French cheese, and Mexican street corn. All local ingredients, of course – but by no means snobby about it. Right across the corridor is a truly unique wine bar where my sister works, called Kazimierz. When you walk in, you immediately feel as though you’ve entered a) a medieval den b) a dark wine cellar, or c) a prohibition-era speak easy. I think the decor was meant to convey all three, actually. The best part of the extensive wine list are the wine flights – I went with the sparkling wine flight, featuring bubbly from Austria and France. Although I’ve read both books, it was nice to see women on the big screen enjoying cooking after a long day of work and commuting, or exploring French cuisine in order to reap the rewards of full and happy husbands…which is why I’ve enjoyed nearly six months of blogging my Dinner with David. I’ve been making turkey burgers since my first post-college apartment, when I didn’t have a lot of skill, but enjoyed cooking for David (my roommate Kim and I shared her George Foreman grill for the occasion). Oh, how things have changed; but every once in a while, turkey burgers straight from the freezer are the only solution to busy weeknights when the cupboard is bare. Since we had turkey burgers once already this week, I decided to change things up a bit for tonight. I sauteed leftover bell peppers with chopped onions (all from Capay), and kept the mixture warm while I fried the burgers in a pan and toasted the bread. Add lettuce, tomato, and whatever condiments your prefer – et voila! Couldn’t be an easier dinner. You can also saute mushrooms or any veggie, really.